Montlick & Associates has a long history of community service, a major focus of which has been the prevention of injuries to children. The cornerstone of these efforts has been the firm's extensive safety education program, Help Keep Kids Safe®, and more recently its Family Safety and Legal Tips Campaign. Help Keep Kids Safe® was developed by the law firm of Montlick & Associates in 1987 in order to address the number one threat to children's health: preventable injuries. Since that time important safety information has been conveyed to millions of people through a wide range of activities. Help Keep Kids Safe® started in 1987 with the writing and producing of a series of "safety tip" television commercials designed to address the most common types of childhood injuries. To date, the firm has aired over 10,000 of these messages on 25 television stations, reaching viewers in 4 states. As part of Help Keep Kids Safe® the firm has also created and sponsored major events like Help Keep Kids Safe® Day at Zoo Atlanta, Bicycle Safety Awareness Day (for elementary schools) and Help Keep Kids Safe® Day at American Adventures. Over 100,000 people have participated in these special events. The firm has also participated as a corporate sponsor of many charitable and safety-related events. In 2002, HelpKeepKidsSafe.org was created in order to provide a helpful, comprehensive and entertaining safety resource on the Internet. Using animation and fun colors, HelpKeepKidsSafe.org provides parents, teachers and kids with helpful child safety tips and statistics, as well as links to some of the best child safety sites and information on the Internet on virtually every topic imaginable. Also featured are educational games and contests, a chance to win prizes like bicycles and helmets, and an opportunity to receive college scholarships based upon making a wonderful contribution to the community. 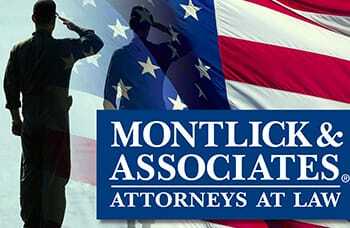 In November, 2009 Montlick & Associates began its new Family Safety & Legal Tips Campaign. As part of its goal to prevent injuries, Montlick & Associates' Family Safety Advocate Jacquie Palisi is appearing in two-minute segments on the ABC noon news, where she covers wide range of topics to help keep your entire family safe. These segments are broadcast on WSB-TV in Atlanta. Additionally, downloadable materials are available on the Montlick.com website along with videos of these presentations, and people can sign up to receive Free Safety Alerts and Legal Tips/Updates. Montlick & Associates has been recognized on more that one occasion for its community work in the area of child safety. In 1990, Governor Joe Frank Harris proclaimed October 6 and 7 as "Help Keep Kids Safe Days" for the State of Georgia. In his proclamation, Governor Harris said that the State of Georgia recognizes this law firm "for its dedication and commitment to the safety and well being of our youth." The Governor of Georgia issued similar proclamations in '91, '92, '93, and '94. Montlick & Associates has also received a letter of recognition from the White House. Written by the Assistant to the President and Director of the Office of National Service (The White House Points of Light Office), it stated "in light of your record of concern for those in need, I am pleased to congratulate you on the fine example of generosity you have set for your fellow Americans." The writer went on to commend the law firm "for making a difference in the lives of people around you." Montlick & Associates knows the importance and responsibility of community service, and prides itself on being an active and responsible corporate citizen. Below is a summary of some of the major events and activities undertaken as part of the Help Keep Kids Safe® program. A summary from the National Center for Health Statistics showed that injuries disproportionately strike the young. Statistics showed that 44% of the deaths to children from 1 to 4 years old were injury related. The percentage of deaths attributed to injuries for 5 to 14 year old children was 52%, and 63% for the age group of 15 to 24 years old. With respect to children, one problem is a lack of safety education. The costs to society for childhood injuries are enormous. These include health care costs, loss of parent productivity while parents worry about and care for their child, costs to the legal system, and strains on schools. There is also the societal loss of unrealized future contributions by children who suffer fatal or brain damaging injuries. Worse are the effects on the quality of life for the children and their parents: unnecessary physical and emotional pain, stress, financial pressures, and negative effects on the child's education and development. Prevention is the focus of the Help Keep Kids Safe® campaign. Injuries to children are not random, chance occurrences. When anticipated, most are easily prevented. The Help Keep Kids Safe® program conveys important safety information to millions of people through a wide range of activities. In May of 1987, Help Keep Kids Safe® began with the production of a series of "safety tip" television commercials that would systematically address the most common types of childhood injuries. The first two "safety tip" messages addressed the subjects of liquid burns and drownings, and provided specific actions to take which would help prevent these injuries. Over time there were nine messages that covered all the leading causes of childhood injury. Montlick & Associates has aired over 10,000 safety tip television commercials, bringing this important safety information into millions of homes. Over the years Montlick & Associates has created and aired seven (7) different "Please Don't Drink & Drive" television campaigns. These messages have been extensively televised during those times of the year when these types of accidents occur most frequently. The firm teamed up with Zoo Atlanta to create Help Keep Kids Safe® Day at Zoo Atlanta. This event was designed to combine safety education with a fun day at the zoo. A record-setting crowd of over 7,800 children and parents took part in the first event in October 1989. The firm provided free admission to the first 2,500 children visiting the zoo. The firm also distributed over 8,000 kids' safety magazines that highlighted numerous safety tips, from bicycle safety to the use of automobile seat belts. Other attractions included McGruff the Crime Dog, the Atlanta Fire Department talking about fire safety, and the Atlanta Police conducting fingerprinting (to aid in a search if a child is ever missing). The following year, Help Keep Kids Safe® Day at Zoo Atlanta expanded to a two-day event and was held on October 6 and 7. Added to the program was live entertainment, Officer Friendly the talking Police Car, and exhibits by Henrietta Egleston Hospital for Children and the Georgia Council on Child Abuse. The third annual Help Keep Kids Safe® Day was held at White Water amusement park and drew record crowds. With over 35 acres of fun, White Water is the largest and most visited water park in the South. The extensive participant list included 911, the police and fire departments, the Red Cross, Georgia Poison Control, Blockbuster Videos, Georgia Power, Atlanta Gas Light, the Department of Natural Resources and the American Kidney Fund. Help Keep Kids Safe® Day for the next three years, was held at American Adventures family amusement park. These annual events featured over 20 safety exhibitors, live entertainment, face painters and clowns. The days were co-sponsored by Safe Kids of Cobb County, VOLVO and the Local Atlanta VOLVO Dealers, WSB-TV Channel 2, and a local radio station. In the early 1990s, the firm created and sponsored Bicycle Safety Awareness Day for elementary school children. Over one hundred schools, 63,000 children and 2,400 teachers took part in Bicycle Safety Awareness Days during October of 1990 and 1991. Each child was provided with a colorful "Guide to Bicycle Safety" booklet containing bicycle safety tips, and a fun game that they could play at school and at home. Teachers' guides were provided for each teacher. 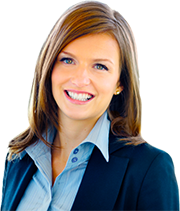 Montlick & Associates has not only involved other businesses and organizations in its own public service activities, but has also supported other projects.